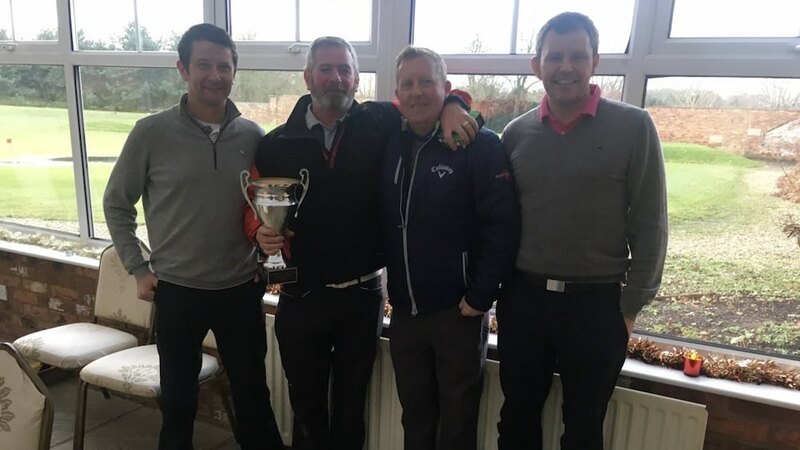 Congratulations to Graham Smith, Don Elmer, Tony Bunn & Steve Harlington for winning the 2017 Christmas Texas Scramble at The Lincolnshire Golf Club on Saturday 30th December. Don, Graham, Tony & Steve won with a gross score of 71 (-2). They won on a back nine count back over unlucky Darren Bartlett, James Ruhmann, Matty Elmer & Paul Challenger who also shot a gross 71 (-2). It was an eventful day with Boothferry Golf Club calling at 8am to say the course was closed and Darren arranged the round at the very wet Lincolnshire Golf Club, but all enjoyed the day.